We left off in Part 2 with instructors branching out to teach around the U.S., including Maryland. Philadelphia, PA; Princeton, NJ; Amherst, MA; Honesdale, PA; and in Westchester and Long Island, NY. By the 1990s Ohashi had witnessed many changes, especially in Japanese/American relations. When he first came to the US, very few Americans ate sushi. By the 90s, there were hundreds of noodle shops and sushi bars in New York City alone. Japanese management techniques had been incorporated into the curriculum of business schools and the yen was at an all-time high. 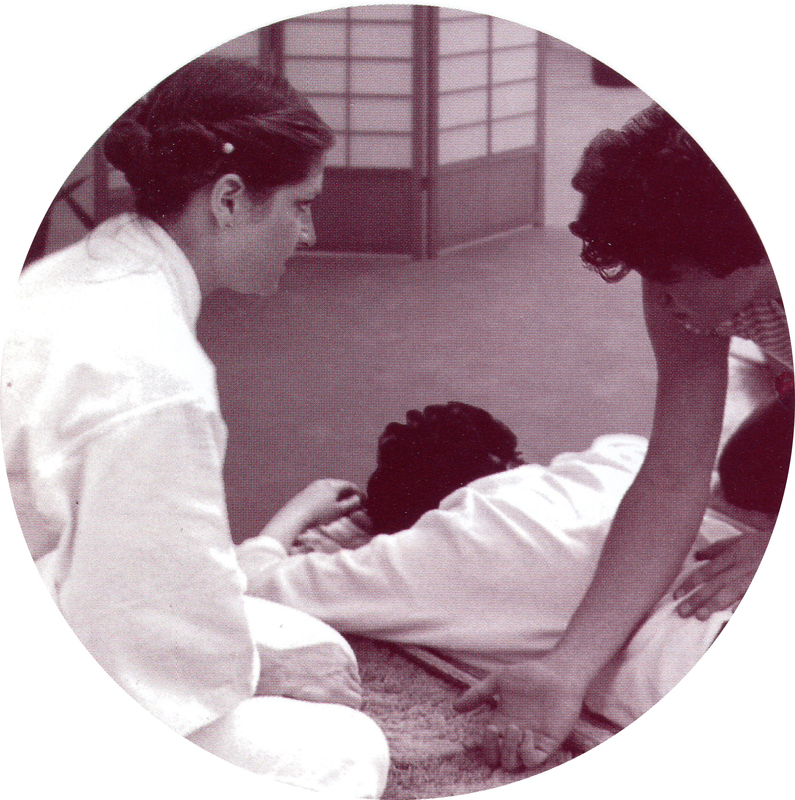 Ohashi’s dream of teaching the “Ohashiatsu…Touch for peace” philosophy to the world was beginning. 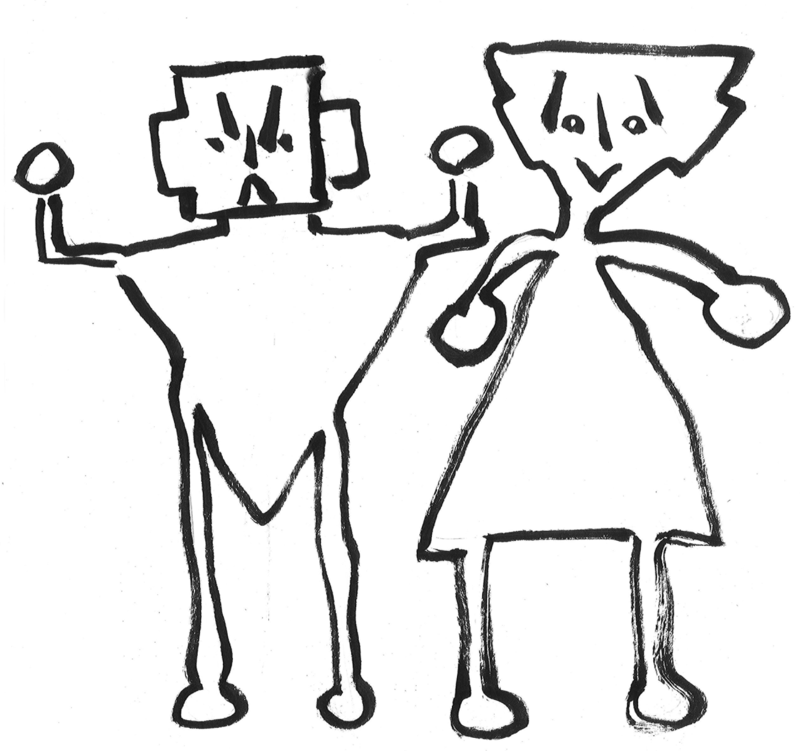 In 1990, the Institute was contacted by the Psycho-Political Peace Institute (PPPI) to help in its project to introduce psychotherapeutic and holistic modalities to the citizens of the newly disbanded Soviet Union. That year the Institute helped sponsor 12 Russian doctors and therapists who were coming to New York for a month. During that time, they studied Ohashi’s Oriental Diagnosis and Ohashiatsu Beginning I. 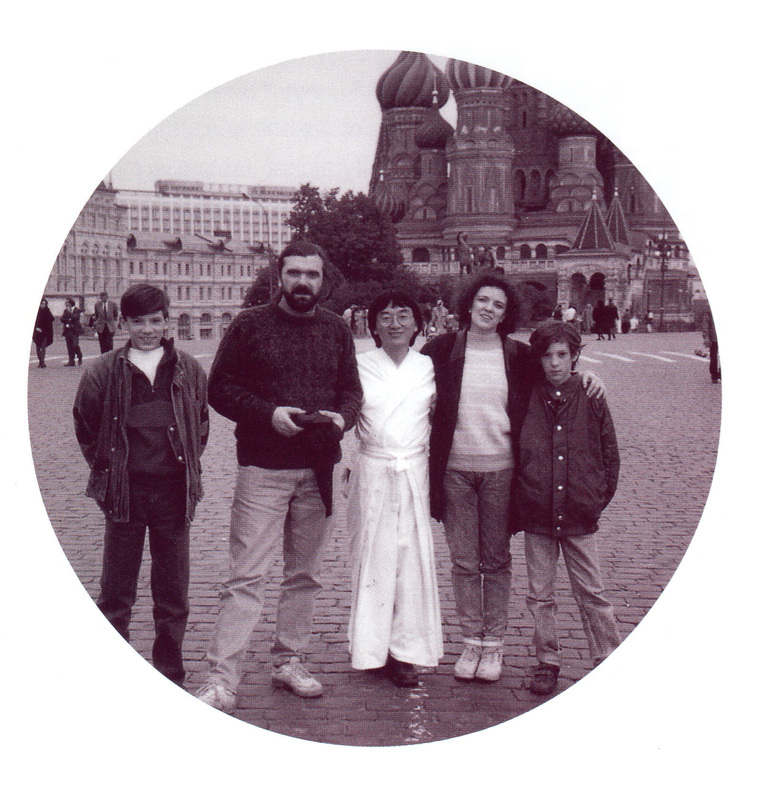 They were so impressed that they invited Ohashi to come to Russia. A year later, Ohashi taught these two courses to 100 students in Russia. Five years later, the Ohashi Institute again partnered with PPPI. This time to assist the village of Bakuriani in the Republic of Georgia, which had been a world renowned ski resort where the USSR Olympic teams trained. The breakup of the USSR left Bakuriani a desolate village with polluted drinking water, no heat, and electricity available only after 11:30PM. There was only one doctor in town – one who had trained with Ohashi in the US. The Institute sponsored Vasil Jioev, who worked as a massage therapist at a hospital. Vasil completed the Ohashiatsu curriculum in one year and, when he returned to Georgia, donated one week per month working in the refurbished Bakuriani Hospital. muscles and tendons and maybe a person somewhere in there. In 1992, Ohashi returned to Japan to teach, and during one weekend more than 80 people came from all over Japan to hear him. Understanding human nature, Ohashi instinctively knew that when people study something that is already part of their own culture, they tend to take it for granted. So, Ohashi taught the Japanese students in English through a translator! The students said that by hearing a Japanese subject taught in English, they discovered a different angle to what they already knew and enjoyed a different dimension of comprehension. Once again, Ohashi fulfilled his mission – he added another level of understanding to human nature through his modality of touch communication. As the Ohashiatsu program continued to grow worldwide, the Institute increased its focus on refining the curriculum and standardizing the training so that the course material could be taught the same way around the world. In this effort, the many senior instructors who had trained at the Institute or in Europe contributed to this process. During the 1990s, Ohashi began to refine his published work by writing a new book that captured the true nature of Ohashiastu. While most other books and instructional videos focused on the benefit of the receiver, how to deal with the receiver’s problems, they hardly said a word about the giver’s well-being, the giver’s consciousness, the giver’s reward. 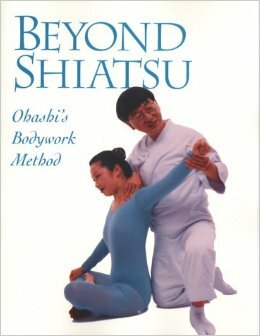 When published, “Beyond Shiatsu: Ohashi’s Bodywork Method” was the only book that focused on maintaining and improving the giver’s movement, posture and well-being. “Priority must go to the practitioner,” Ohashi states emphatically. and because you are meditating while you are working. Ohashi believes that people need to take responsibility for themselves. Clients need to take responsibility for improving their health, students for their own learning, and instructors for their continued learning and financial well-being. Ohashi wanted instructors to be self-sufficient rather than rely on the Institute for their livelihood. Thus, in 1995, the Institute established an outreach program allowing instructors to teach anywhere they liked, without having to set up an entire school. Result: the Institute could access different niche and geographical markets and more and more people could be introduced to the physical, psychological and emotional benefits of Ohashiatsu. Society has now embraced “alternative” knowledge and modalities. We continually hear about a “new” therapy, but, of course, we know that these “new” therapies are what philosophers, monks, healers and indigenous p eoples around the world have known for centuries. Ohashi developed a series of videos for students. With the advent of the DVD, Ohashi created a new series that addresses the public at large. A new e-book will be published soon. He continues to travel around the world teaching his courses and new instructors. To date, Ohashi and his instructors have taught in the US, Canada, Italy, England, Germany, Austria, Switzerland, Sweden, Bali, Belgium, Costa Rica, Israel, Burkina Faso, French Guinea, Russia, and the Netherlands. In 2015, Ohashi will introduce his modality to students in Melbourne, Australia; Istanbul, Turkey; and Zagreb, Croatia. 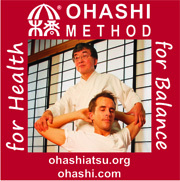 As more and more people look to alternative modalities for their health and well-being, the Ohashi Institute and the Ohashi Method®/Ohashiatsu® are ready to provide the world with more instructors to teach people to help themselves. 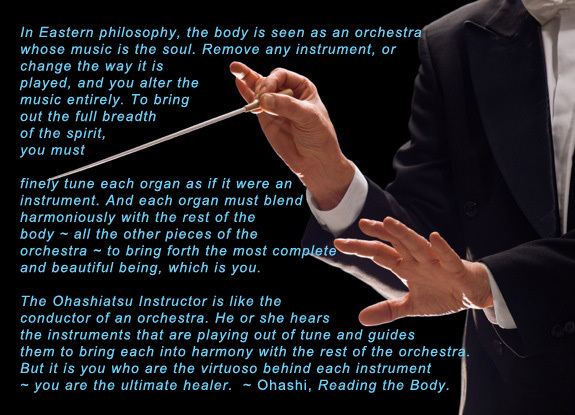 And Ohashi’s techniques, method and teaching will continue to emphasize communication and synergism between two people, on the self-development of the giver, as well as the receiver, and on harmony for both. 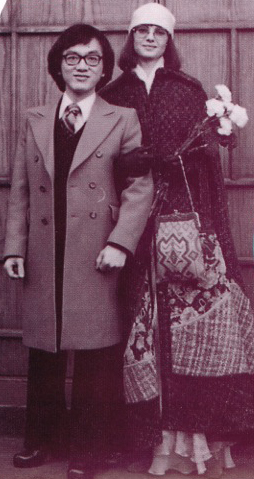 In 1976, Ohashi was called back to Japan because his father was very ill with cancer. While caring for his father, Ohashi decided to study with Dr. Shizuto Masunaga, whose articles and monographs he had read. A psychologist-turned-shiatsu practitioner, Dr. Masunaga evolved his own method of shiatsu treatment and established a theoretical basis for shiatsu therapy. Based on his many years of clinical experience, Masunaga placed a large emphasis on the psychological effects of meridian energy. 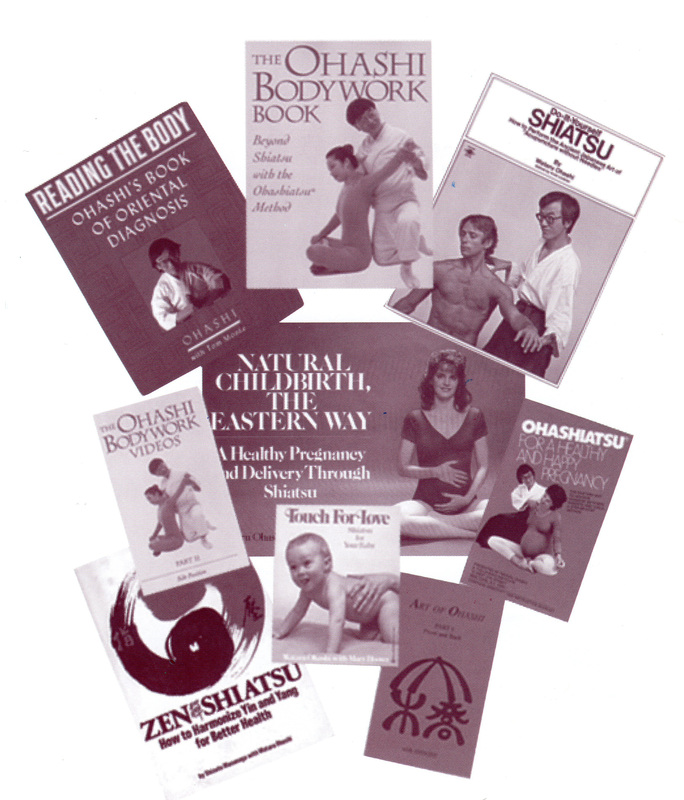 1976 was also the year Ohashi’s first book, Do It Yourself Shiatsu, was published. He would follow this one year later with the publication of Zen Shiatsu, a collection of Dr. Masunaga’s monographs which he edited and translated. Ohashi chose the title to represent Dr. Masunaga’s approach to healing and life. The book, since translated into several languages, introduced Dr. Masunaga’s work to an English audience. After that Ohashi brought Dr. Masunaga to the US for several popular workshops. Ohashi used what he learned from Masunaga to inform his own observations of human nature and his earlier experience in the U.S. human development movement. 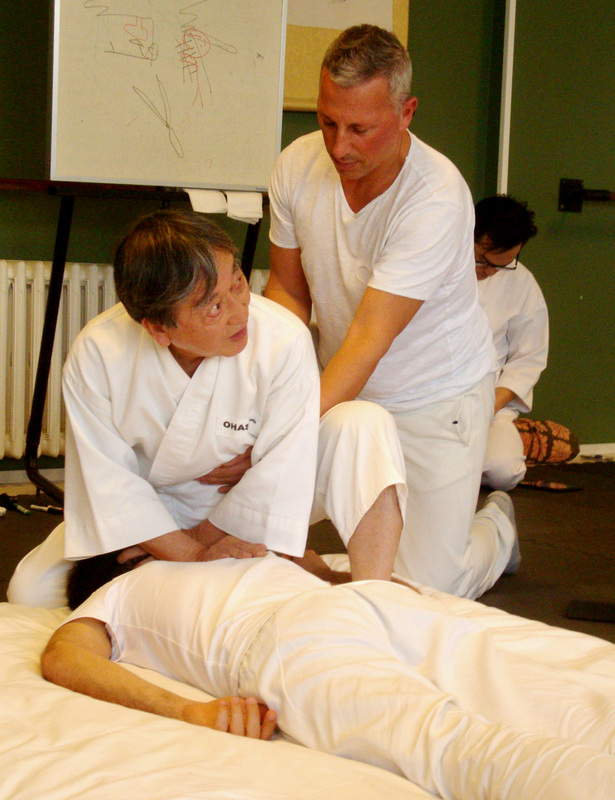 This would influence the evolution of Ohashi’s methodology and his own approach to shiatsu. 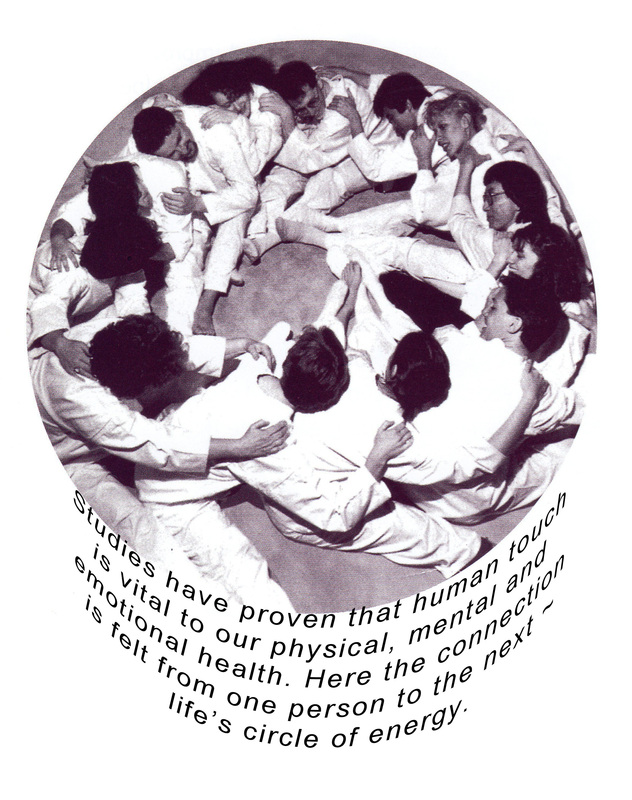 By 1979, the curriculum of Ohashi’s school, Shiatsu Education Center of America, was changing from a technical, left brain, book-oriented curriculum to a more experiential, right brain, feeling approach. Some of the School’s early instructors, especially Esther Turnbull and Pauline Sasaki, believed it would be better for students to learn to feel before incorporating book knowledge into their techniques. Over the next few years, Ohashi and the school’s instructors continued refining and expanding the curriculum. Their focus was on how to make giving a treatment session easier, and how to make it healthier for the giver. As Ohashi’s method evolved, it could no longer be called “shiatsu.” The approach and delivery of the technique was unique, something epochal. Beautiful, customized space for the West 27th Street location. 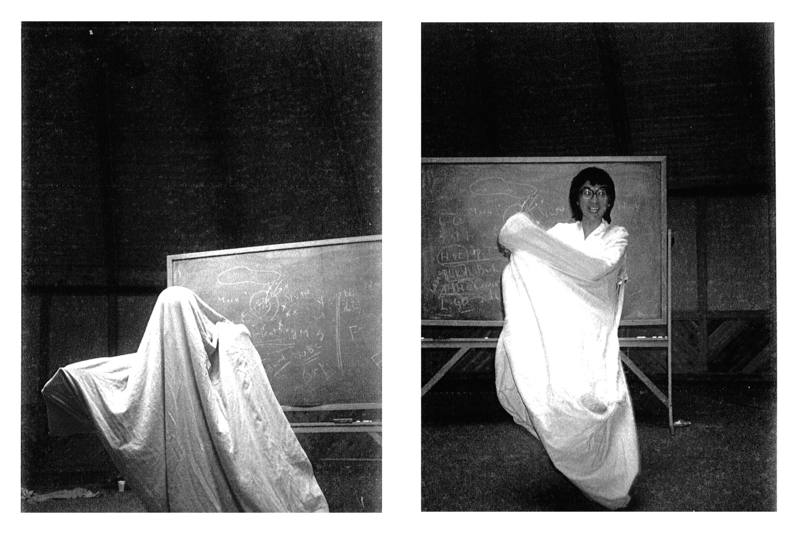 Ohashiatsu® increased its popularity in Europe and the first European student graduated in 1980. The early European sponsors and instructors, Johan Byer and Rosemary Solterman from Switzerland, and Klaus Metzner from Germany, soon set up branch schools in their respective countries. Since they were just beginning, Ohashi sent US instructors to teach until the European graduates could train to become instructors themselves. Schools were organized in Heidelberg, Munich, Muenster, Zurich, Basel and Bern. An Italian graduate, Alfonso Crosetto, became the first to sponsor courses in Italy, establishing a school in Turin, Italy. Others set up schools in Florence, Rome, Milan and Asti. 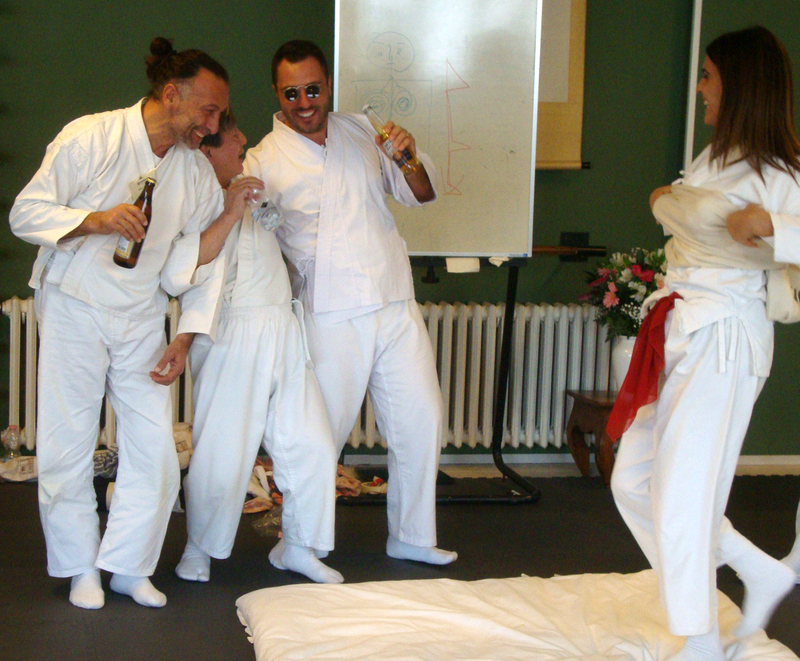 Today there are more than 20 Certified Ohashiatsu® Instructors and Consultants in Italy, teaching in various cities. 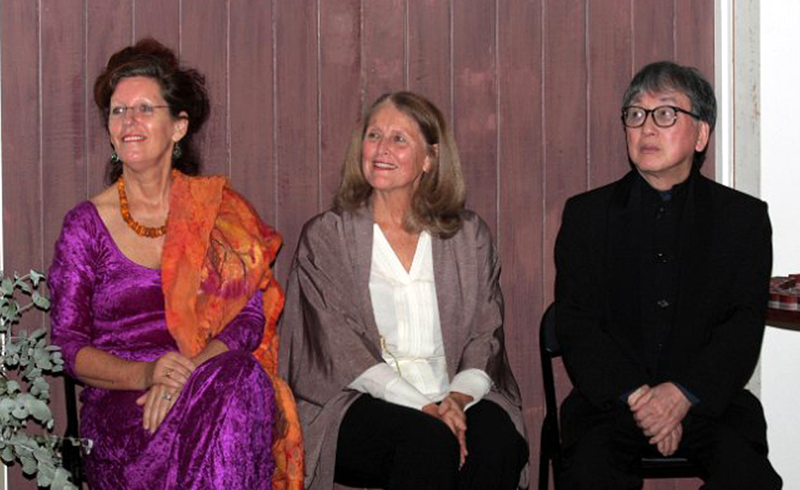 In addition, COIs teach in Austria, Canada, France, French Guiana, and the Netherlands. 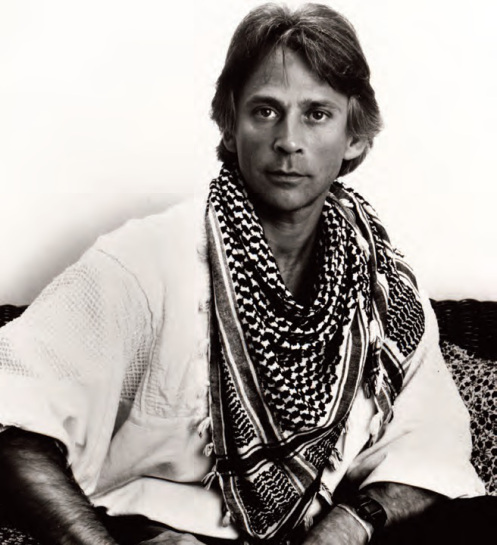 In 1988, an American graduate, Matthew Sweigart, began offering courses in Evanston, Illinois, inviting COIs from New York to teach. By 1990, he opened the first Ohashiatsu® branch school in the US. A year later, Hazel Chung, a former dancer, opened another branch in Ellicott City, Maryland. Other COIs started organizing courses in Philadelphia, PA; Princeton, NJ; Amherst, MA; Honesdale, PA; and in Westchester and Long Island, NY. Ohashi in Print: In keeping with his philosophy of knowledge being more effective when it is widespread, Ohashi recognized the value of publishing and devoted hours to writing several books. Many of these books have been translated into multiple languages. In our final chapter of One Man’s Journey, we will talk about globalization, refinement and the future. Wataru Ohashi was born in Hiroshima, Japan, in June of 1944. Even though he and his family lived in the rural area and were not in the city when the atomic bomb fell the following year, they did not escape the ravages of war. He was born prematurely and malnourished because of this mother’s poor health. As a baby he was fragile with a weak constitution. Then, at less than two years of age, his short life was threatened by dehydration from cholera, which spread through the town where he lived. Many children his age died. Because no Western-style medicine was available, his family turned to Oriental medicine The ancient healing art of moxibustion, commonly called “heat acupuncture,” saved his life. He still bears the round scars of the moxa burned directly on his skin, on CV 46 and BL 23. He regards these scars as “Seals of Life.” This early childhood event set the direction that Ohashi’s life would eventually take — one of a career in healing, although that path would not show itself until he had explored other options. 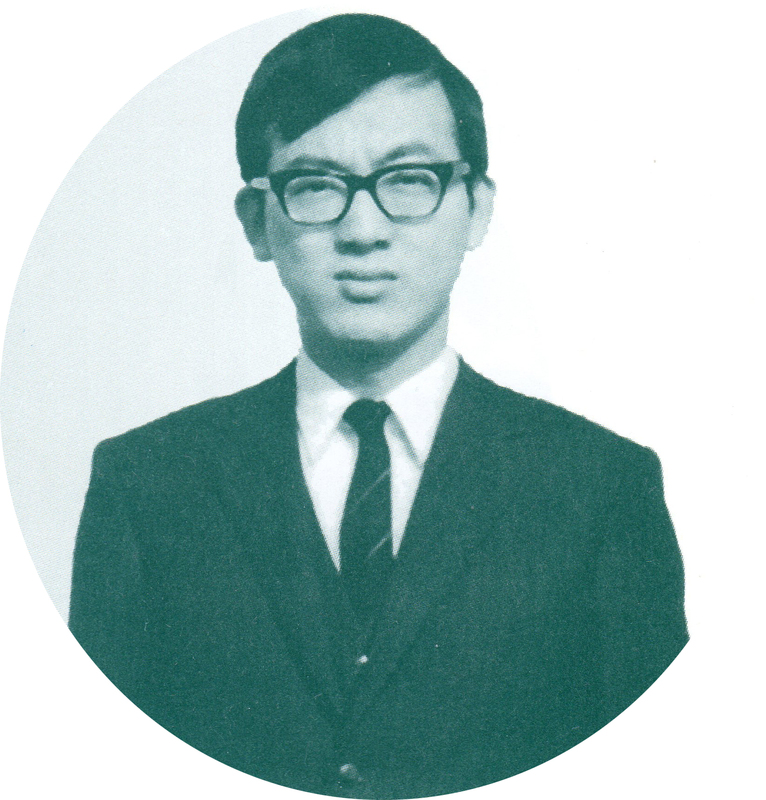 Ohashi attended Chuo University in Tokyo, where he majored in American literature. At the same time he became interested in the type of healing that had saved his life and decided to take a course in shiatsu. He was also interested in going to the United States to experience African-American history, literature and the civil rights movement that he studied at university. In spite of his family’s objections he made plans to go there after graduating from college. Thus began his journey in 1970 to the United States. A journey that would take him much further than he ever dreamed at the time. He spent two weeks on a boat to reach California, and then another week by Greyhound bus to reach the South, where he enrolled at Tougaloo College, a predominantly African-American college outside Jackson, Mississippi, to improve his English. He later transferred to Howard University in Washington, DC, but studied for only 6 months, as he found living in Washington, DC, offered many different kinds of education that interested him more. To support himself, Ohashi fell back on the old healing techniques he knew and started giving shiatsu sessions at a health club located in the Watergate complex. Among his clients were then US Attorney General John Mitchell and Governor William Egan of Alaska. One day, Ohashi was called to the Kennedy Center where the American Ballet Theatre was rehearsing. 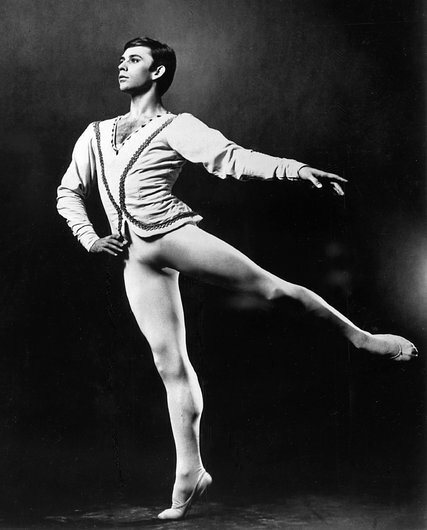 Their principle dancer, Ivan Nagy, had injured himself and was in a great deal of pain. 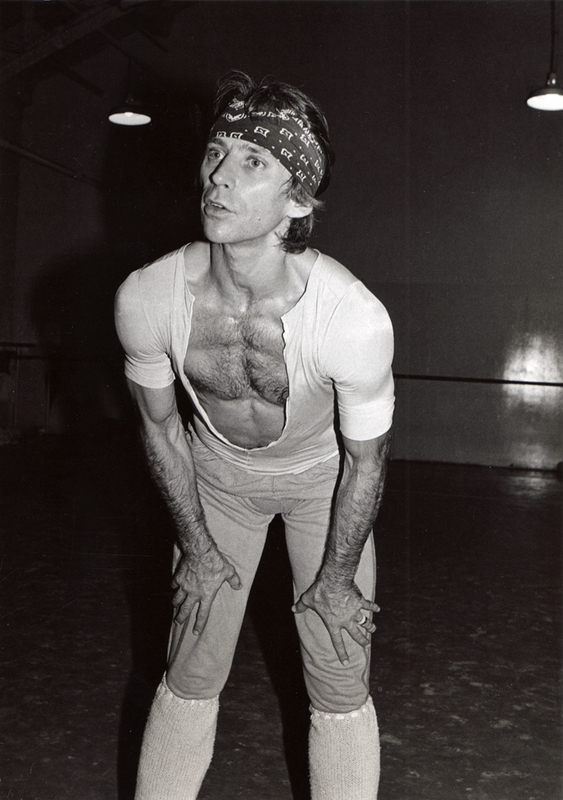 Ohashi gave Nagy a few sessions and within two days the dancer was back on stage. And so began a long relationship between Ohashi and the dance world. The connection was so strong that Ohashi soon moved to New York City to be close to his new-found clients and friends. “Where do ideas come from?” A profound question. Usually, it’s a small group of people, not necessarily connected, that influence a “movement.” The human development movement of the 1970s was just beginning when Ohashi arrived in New York. Without realizing it, he became one of the people in the US who would have such an influence. Many of today’s ideas about healing and alternative health began with this “handful of people” who were exploring a new lifestyle. Ohashi’s ideas and teaching can be found in many modalities. He knew that giving sessions one-on-one would only get his health message to a few. 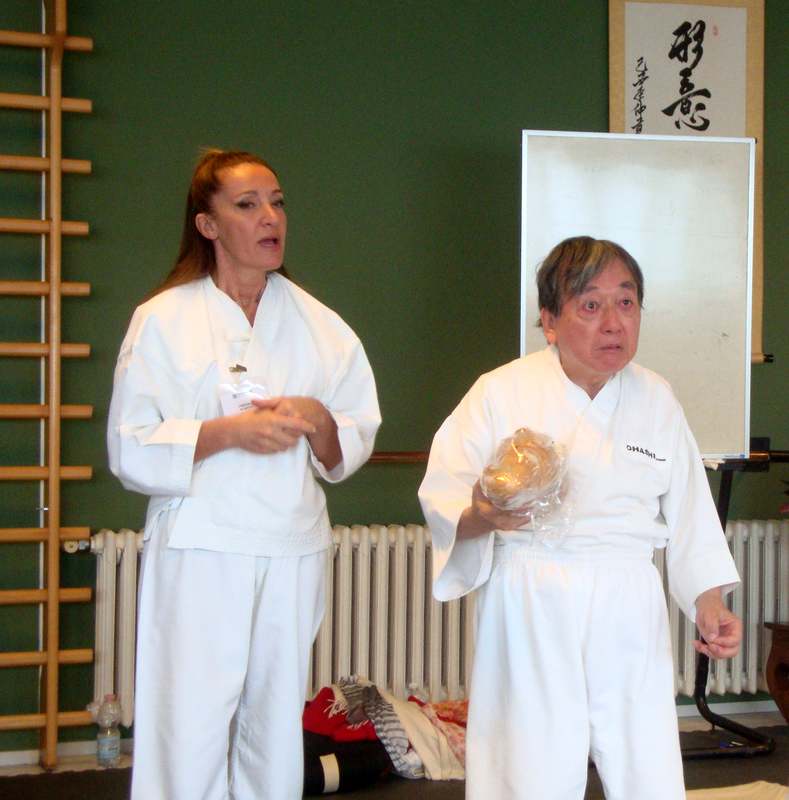 Recognizing that teaching was the way to get information out to many, in 1973 Ohashi started the Shiatsu Dojo on the upper west side, with two “secretaries” who wanted to study with him and help him establish his school. They helped him to understand English, how to maneuver through city and state bureaucracy in order to incorporate the school, and with registration and promotion. Within two years, Ohashi was so busy with students and clients that he outgrew the small space where he started. He needed to look for new space. He took out a map of New York and made a square extending from 60th Street to 50th Street and from 7th Avenue to Lexington. His assistant exclaimed, “But, Ohashi, that’s the most expensive area! You can’t afford it!” “I can’t afford anything,” Ohashi calmly replied. 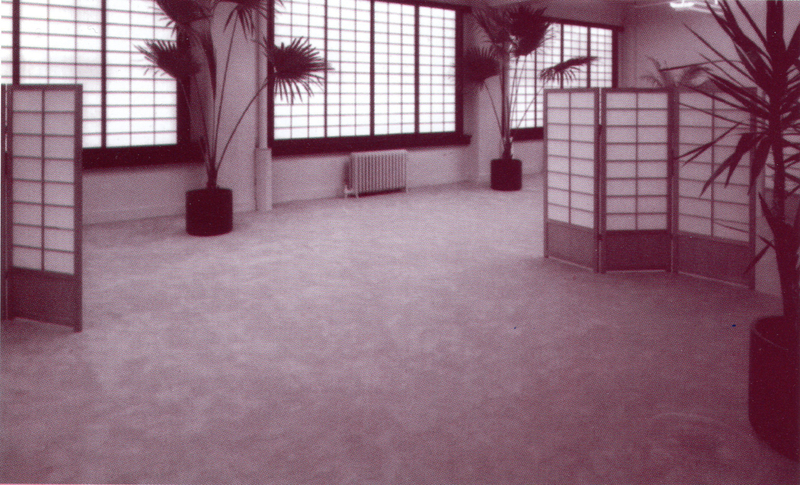 “So I can’t afford not to be there.” Within ten days, in 1974, Ohashi moved to 55th Street, between 5th and 6th Avenues, in the prestigious Midtown district. It was the second floor of a midtown brownstone. There he established the Shiatsu Education Center of America, which he founded as a nonprofit organization. Needing instructors to help him, he decided to start training his students to teach. His first instructor was Pauline Sasaki. 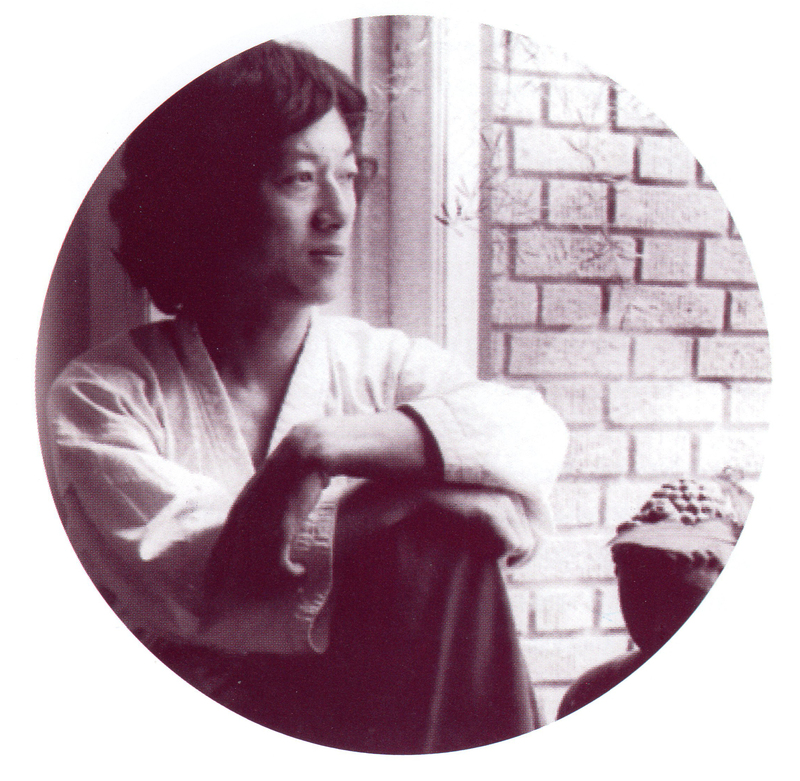 In the summer of 1975, Ohashi obtained a ride with one of his students to travel to a yoga retreat in upstate New York. A young woman along for the ride was in the publishing field and would later become his wife, Bonnie Harrington. Ohashi first published a 5×4-foot Meridian and Tsubo chart in 5 colors (the colors of the Five Elements), which received a design award. He had already started writing Do-It-Yourself Shiatsu, which was published in 1976, and is still in print. Soon this book was translated into German, French and Italian, and organizations started to invite Ohashi to teach in Europe – first to Eschweiler, Germany in 1977; then to Switzerland the next year, and soon after to Italy. His book and those of other American writers were introducing Europe to the human potential movement. 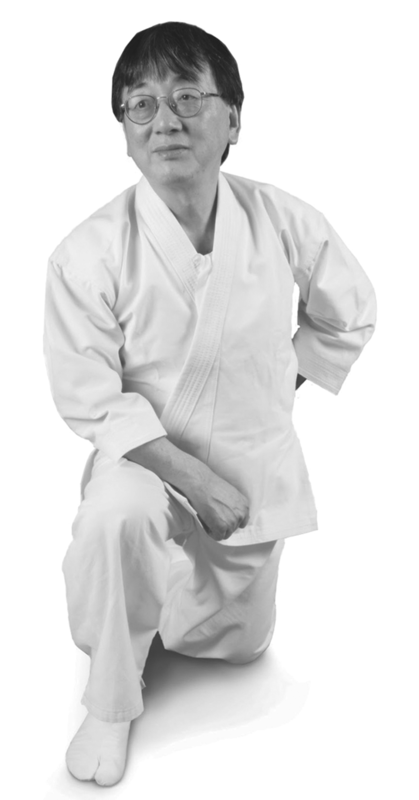 Within a few years, Ohashi began sending his American instructors to teach the entire curriculum. Soon Europeans started traveling to New York City to study the entire program. Ohashi was living up to his name, which means “Big Bridge.” Western Europeans were traveling west to study in America, and Ohashi was traveling east to teach in Europe. Many were crossing the bridges that Ohashi built. This was just the beginning: next month we’ll discuss The Evolution of how Ohashi transformed shiatsu into the entirely new, elevated form we know now as Ohashiatsu®. Muscles & Meridians & Sedation, Oh My! When muscles are “tight,” this tightness may cause an excess or blockage of energy within a meridian (energy pathway/acupuncture line). Conversely, a blockage or stagnation of energy within the meridian may cause tight, or hypertonic, muscles. By sedating the meridian, muscles will relax. By sedating the muscle, the meridian may open, releasing the blockage of energy. You can see the interplay between energy, energy meridians and muscles. But it goes deeper. There are many way to approach this: Applied kinesiology, massage, myofascial release techniques, to name a few. You could work each muscle involved with a particular imbalance, although that might take time. Or you can sedate a meridian, thereby “working” several muscles at once. For instance, Triple Heater meridian encompasses the Gracilis muscle – which works with the Sartorius and hamstrings to help bend the knee; the Soleus which flexes the foot and lower leg; and the Gastrocnemius, which works with the soleus. Here, with one meridian, you are affecting more than five muscles. You can also use acupuncture release points. Here you need to remember the sedation point of the meridian and or insertion points of the muscle. And if one set doesn’t work, you need to remember what meridian may control or feed the affected meridian, and work on those control points. That’s a lot to remember. 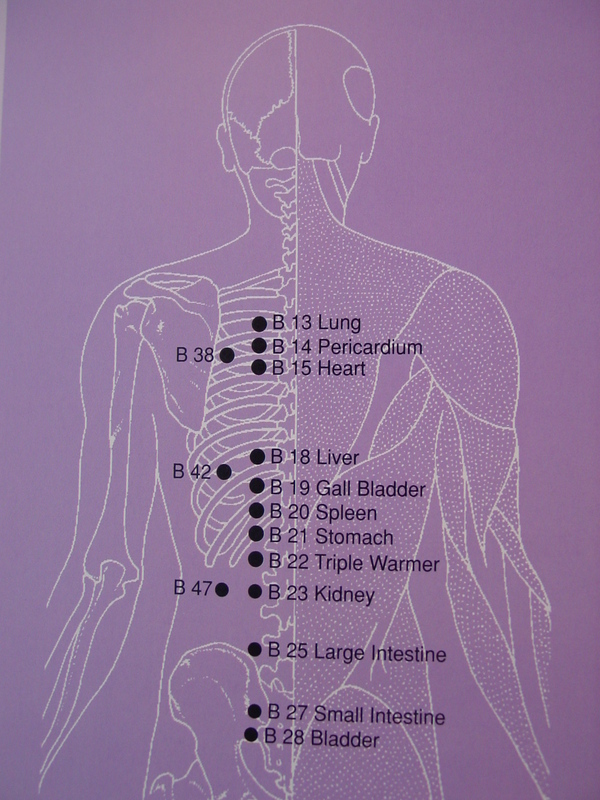 Another possibility is using the Yu or Shu acupuncture points on the back. 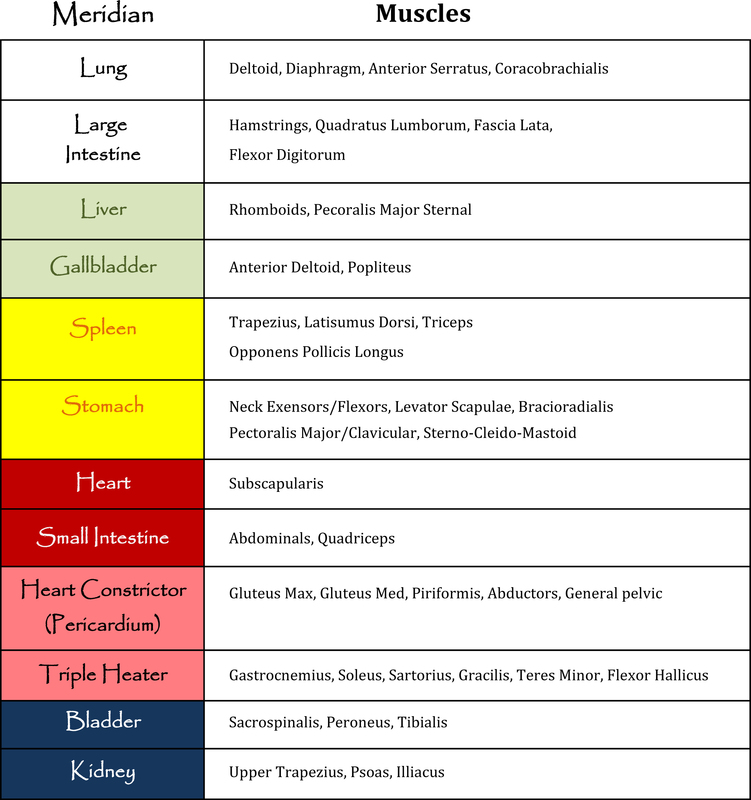 These points are associated with different meridians which are associated with certain muscles (see chart). Consequently, you could sedate the Triple Heater point on the back (located between Lumber #1 & #2), and affect the gracilis, sartorius, hamstrings, soleus and gastrocnemius muscles; as well as the thyroid – all with one point. In Ohashi’s Muscle Meridian Sedation DVDs), he shows how to easily do this without fatigue on your body, or having to remember a myriad of acupoint combinations. He shows body distortions – for example, a foot that flops to one side shows outward rotation of the leg, which could involve the sacrum or lower back. Rather than list points to work and where they are located, Ohashi simply shows how to position the body part to easily access the required Yu, insertion, or sedation point(s). Remembering where to position the leg to access specific points on the back is easier than remembering individual or combinations of trigger points. Ohashi also demonstrates how differences in the size of the giver or receiver can prove challenging. Using pillows or body positioning, he shows how to easily remedy these issues for more effective treatment without strain on the giver’s body. There are three volumes for Muscle Meridian Sedation DVD series. Volume 1 encompasses Upper Back Sedation, Hip Sedation with Healing Scarf Therapy technique, and lower Lumbar Bi-Lateral Sedation. Volume 2 continued Upper and Lower Back Sedation in a variety of positions, and introduces Shoulder and Foot Sedations. Volume 3 includes Neck Sedation in sit-up and supine positions; lumbar sedation, and Thumb and Wrist Sedation. You can find these DVDs at Ohashi.com. And you can see sneak peeks of the videos on YouTube’s OhashiInstitute channel. 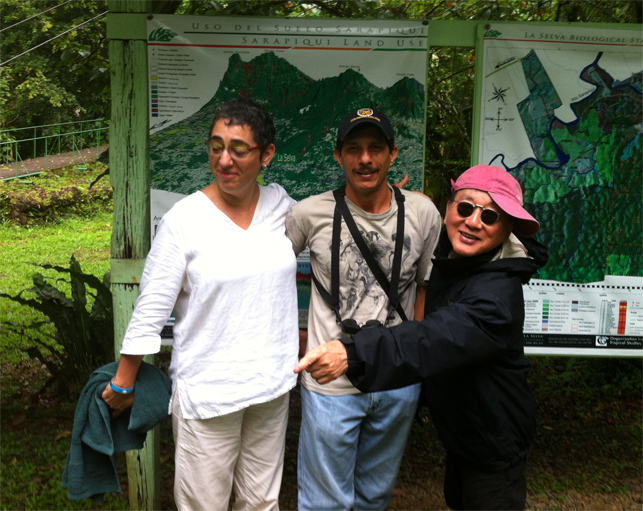 During my trip Costa Rica, where I taught my Oriental Diagnosis course, “Reading the Body”, I had the chance to enjoy the abundance of nature in this beautiful country. I learned so much. I was invited to be part of a special lecture series for the 40th Anniversary celebration of the National University of Costa Rica‘s (Heredia). More than 100 people, including medical doctors, therapists, and laypeople, attended my 3-day workshop. First, while in Heridia, I lodged at the Bougainvillea Hotel. This is a wonderful hotel for many reasons. They have more than 10 acres of beautiful gardens that attract many birds: Hummingbirds, Blue crowned Motmots, Palm Tanagers, Tropical Kingbirds, Boat-Billed Flycatchers — among many others. 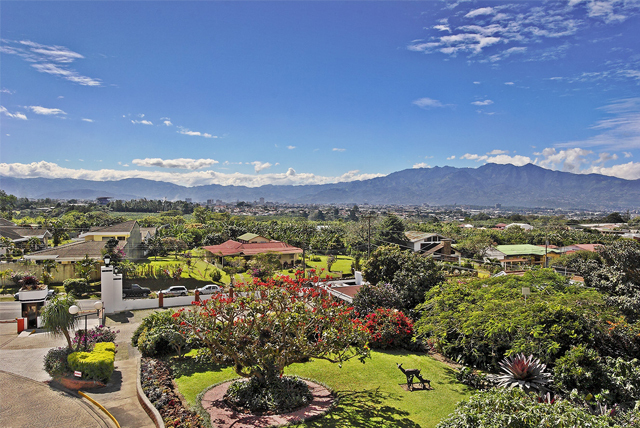 The hotel also exhibits tremendous environmental and social responsibility, and received the Certificate of Sustainable Development granted by the Costa Rican Institute of Tourism. The owners built a school on the hotel grounds; contributes to the elderly and a local shelter; and provides scholarships to local children. Costa Rica does not have a military, so money is available for education and human well-fare, including medical care. Because of the quality of education, many foreign students from other Spanish-speaking countries study in Costa Rica. One of the professors at my workshop invited me to visit a coffee plantation where I learned how they grow, harvest, roast and package their coffee. Tarrazú canton in the highlands is thought to produce the most desirable Arabica coffee beans in Costa Rica and in the world. I was happy to buy many bags to bring back to family and friends. On another day, I visited the Irazu volcano, which is 3300 meters high. 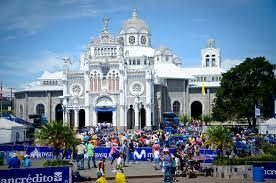 On the way we passed Cartago which is famous because millions of pilgrims trek each year to the majestic Basílica Nuestra Señora de los Ángeles, to pay respect to Costa Rica’s patron saint, “La Negrita.” Some walk for as many as eight straight days. Perhaps my favorite part of the trip was visiting the Braulio Carrillo National Park. Ranging from high-altitude cloud forest to tropical lowlands rainforest, it maintains one of the highest levels of biodiversity in Costa Rica. I spent a night in the rainforest jungle, at the LaSelva Biological Station, which is recognized internationally as one of the most productive field stations in the world for tropical forest research. While there, I saw for myself how nature is so complicated and interwoven. The guides showed me a “second forest.” They explained that when part of the forest is destroyed, even though they try to restore it with a “second forest,” even after 100 years of growth, it is not the same as the original. Not all species will return to a second forest. We must take this lesson: we believe if we return nature, we believe it will be the same. I learned from my experience in Costa Rica that this is a fallacy. We must protect what is there, for once gone, it will never be the same. While I was there I was able to enjoy the many monkeys and different birds; so many different types of orchids; and spiders. One is very weird looking and fascinating, too. 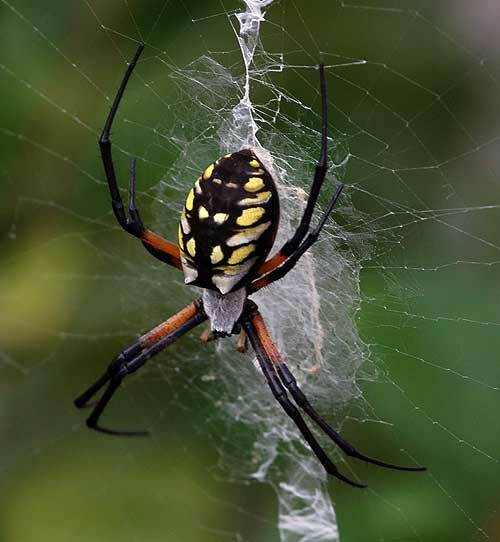 Scientists are studying the Golden Orb Spider because its silk is one of the strongest materials, natural or man-made in the world. Their silk is about 5x stronger than steel and 3x stronger than Kevlar. Some of the possible uses for this include earthquake-resistant bridges, medical sutures, and bullet-proof vests. We can learn so much from nature, for so many applications, but particularly for natural medicine. So rather than renew them, we have to protect our rainforests. This trip to Costa Rica has given me a life-long memory. I am grateful to my sponsors, Angeles Arenas of the U.N. and Ana Rodriguez Allen of the National University, who made this trip possible.